Fashion: How To Wear Boot. Boots and Booties Trends. The most important girl's accessory is her shoes. The most fashionable and trendy shoes are boots. Boots are anything from ankle to knee to over-the-knee. So how we should wear them? Over the knee boots are a main fashion trend and have been seen stomping on pavement all over the city. When it comes to 2011 fashion trends we’re facing a year of subtlety and tradition. And while many of us will be wearing classical silhouettes and subdued colours we’ll all be in need of making them pop; after all, doesn’t every fashioniser want to stand out from the crowd? For women that ’stand out’ look is just about to get a whole lot easier thanks to the hottest trend for shoes in 2011: thigh high boots. It looks great with over tights, long socks, jeans or pants. For a look that's all glam and no trash, stick with leather or suede and pair boots with mini dresses, leggings, skinny pants or shorts. Cowboy boots refer to a specific style of riding boot. Cowboy boots are prefered by celebrities such as Brittany Spears, Jessica Simpson and others. Cowboy boots are normally made from cowhide leather but are also sometimes made from "exotic" skins such as alligator or snake. 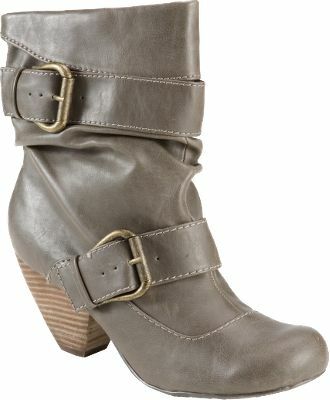 Women who value comfort as well as style will appreciate the emergence of the low heeled riding boot. You can pair with jeans and wear on an everyday basis and still be hot and trendy in long sweater. They are also great for pairing with skirts when you have to do a lot of walking. These boots give a new meaning to warmth and comfort. From real fur to realistic looking fakes, these fur collars will add style and flare to boot designs in winter and spting. Bright colours is the Fashion Trend of Spring 2011. Put your blacks, grays, browns and boring monotones boots in the back of your closet and wake up your spirit by adding some excitement to your wardrobe. Boots come in all colors. You will get orange, red, blue, purple and even pink. Some have bold prints to go with the bright colors, and for the not so daring, some are a little simpler. For those who love the funky look, boots with buckles are the best alternative. 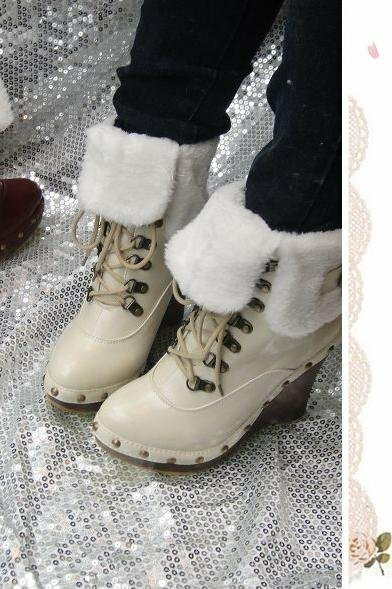 Whether its night party or a friend get together you look great in these kind of boots. You always have so many options of boots for different season. So just go for shopping and pick the best matching boot which adds fashion and comfort to your look.